With the launch of Twitter’s new photo filters, to rival what Instagram already has, it seems the war for photo sharing has officially begun between the two companies. On one side, we have the social microblogging giant, Twitter, on the other, we have Instagram, owned by Facebook. In many respects, all have integration with each other, but this integration is starting to die away as each company looks to keep users on their service only. For the users, this is a rather poor way to do business, because it means sharing with multiple social feeds becomes less integrated and you have to share on the every platform. A few days ago, Instagram completely disabled photo integration with Twitter – when you share from Instagram to Twitter now, you are met with just a link to Instagram, instead of the photo. Instagram’s CEO Kevin Systrom says this was a good business decision, to make users start utilising the Instagram web profiles more. What we find odd is Twitter’s move to start battling Instagram. The way we look at it, multi-use cannot beat a single use application, especially when the single use applications delivers quality. Instagram is all about photos, it has no advertisements, it has brilliant social connections. Twitter, on the other hand, is known globally as a way to microblog or tweet whatever you want – most people don’t use the native Twitter photo clients and if they do they normally use Instagram as well. 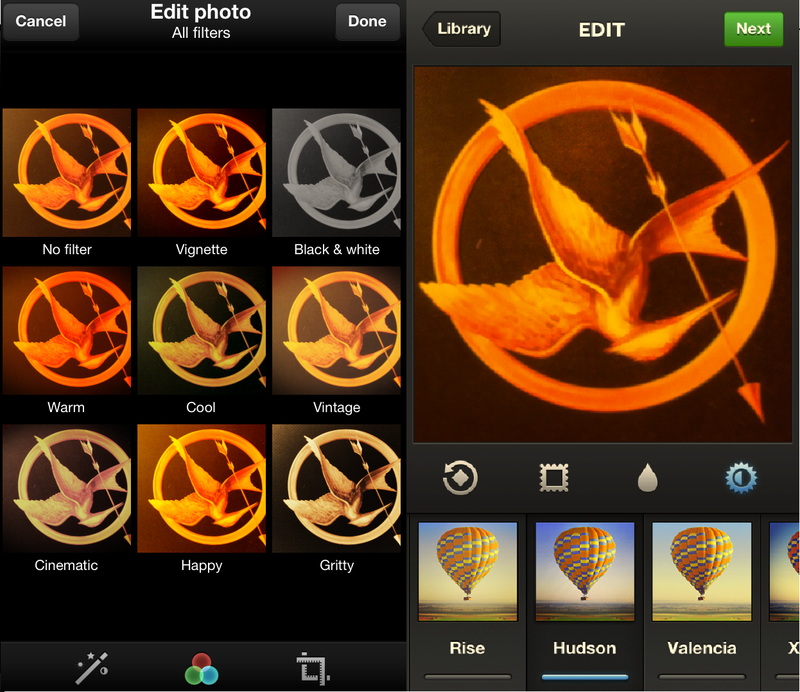 To bring photo filters doesn’t enhance the chances of users moving away from Instagram, in our view. On the latest update, Twitter added the photo filters, but it is still locked under a deep three click tweet, making it more annoying for users than anything else. Instagram photo filters are at the front when you take a photo, yet with Twitter it seems they are trying to hide the fact they added photo filters. Using both the photo filters, Twitter offers a simple eight different photo filters and they come with the default-like names ‘Cool’, ‘Warm’, ‘Happy’. Moving around the interface, after the three clicks, is nice. Twitter have set the photo filters up easily so you can switch from one to another. Instagram recently updated their app to version 3.2 and changed the interface again. Now, photo filters are larger and still come with the odd hipster filter names, ‘Kelvin, ‘Toaster’, ‘Earlybird’. There is more choice on Instagram, although we find some of them are ugly and destroy the image. In our view, Instagram wins hands down on photo social and photo filters – they have more choice, the interface is simpler and users go on Instagram to take photos. Instagram has a more rich and vibrant photo community than Twitter. That being said, if you want to check up on news, read some famous people’s blogs, find out UberFacts or tweet about something, Twitter is a much better client. 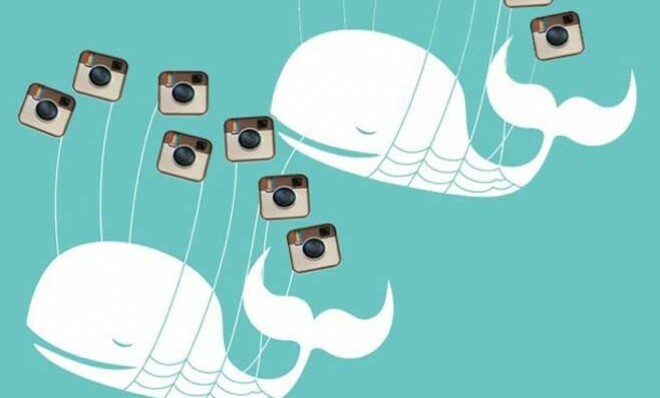 The problem is Twitter is stepping onto Instagram’s turf, not the other way round. And behind Instagram is Facebook. Facebook rules the social friends web by a pretty huge milestone, and there are more people connecting to the service everyday. While some may say Facebook is getting to mature and uncool, which it is compared to Path and Instagram, they are still bringing in huge amounts of revenue.